Will stare into your very soul til you get hypnotized and do what ever it says like to feed it some milk. It will be so loud you will want it to stop rattling around in your ear. Comments : The most cute thing in the UNIVERSE. kitty and puppy | Puppy Bowl | Kitty-Puppymon | impossibly cute puppy | IMMORTAL PUPPY | jack russle puppy | puppy | puppy | puppy love | puppy power!! | dudley puppy | Puppy Power | puppy | Beagle puppy | Yasi the puppy | cute puppy | awesome puppy | Death Puppy EX | cute puppy | puppy candy pop | Puppy Lover | Panda puppy | Puppy Fighter | baby kitty | Kitty Kitty | strong kitty | strong kitty | evil kitty | kitty runing from creepers | Strong kitty | SUPER KITTY | Pretty Kitty!!!!!!!!!!! | Kitty Ichigo | KITTY GAMER | Baby kitty | Puppy | puppy | Puppy! | 500 puppy's | puppy | Cute Puppy | puppy EX | Puppy | Puppy | OP PUPPY GX | puppy is so cute! 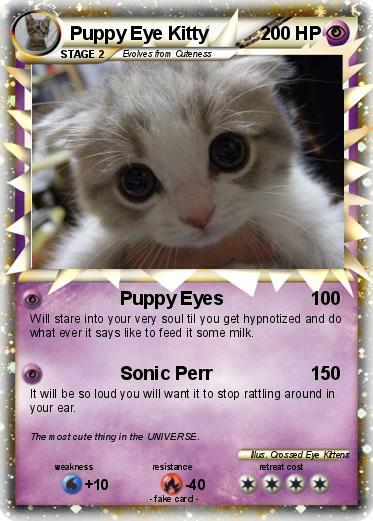 | Kitty Kitty | Jeffard Kitty | kItTy | DARK kitty gir | cute kitty | evil kitty | KITTY PIKACHU | kitty paws | I Love KITTY!!! | kitty pichu | Kitty Sans and Pappy | Darth Kitty | Kitty Cat2 | M Kitty kitty EX | Mega Kitty | shih-tzu puppy wuppy | Funny Puppy | puppy gamer 2016! | Cat+Dog | lucky puppy | Puppy Love | The cutest puppy | Puppy Lover Awesome EX | DOGZILLA PUPPY!